Snow blowers vary in power and other details, but they nearly all operate with an auger that loosens and pitches snow through a chute. Two-stage models feature an impeller resembling a fan that allows the machine to throw snow a greater distance. Snow blowers are available in gas-powered or electrical versions. Electric snow blowers tend to be smaller than their gas-powered counterparts, making them a better choice for tight spots and small spaces. They use augers just like gas-powered snow blowers, but do not require maintenance, such as oil changes. Single-stage snow blowers operate with gas engines. Their augers scoop snow and throw it out a chute. The augers on these machines touch the ground and are capable of hurtling rocks along with the snow. Therefore, the machines are not safe for use on gravel surfaces, A single-stage blower is capable of clearing snow up to 12 inches deep. 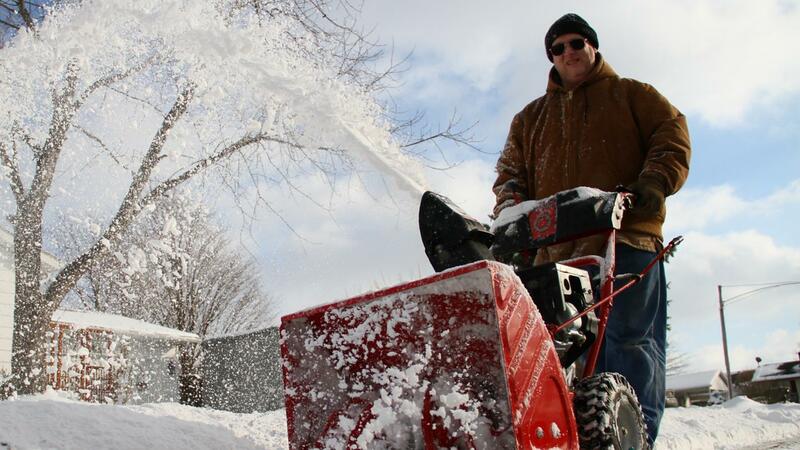 For deeper snow, many people use a two-stage snow blower. A two-stage blower not only handles snow 20 inches deep and often deeper, but throws snow a greater distance, in some cases as far as 50 feet. The auger on a two-stage machine does not touch the ground, making it safe to use on gravel surfaces. What Are Some Good Snowblowers? How Do You Find Snow Blower Ratings? Where Can You Find Online Manuals for Toro Snowblowers? What Are Some Popular Snow Blowers Available From Tractor Supply? How Do You Replace the Shear Pins on a Snowblower? What Are Some Good Simplicity Snowblower Models? Where Can You Buy Toro Snow Blowers?